You are here: Home / Musings About Aging / October’s Silk Scarf Ambush Models…Teri Lou Dantzler and Lynette Sheppard! 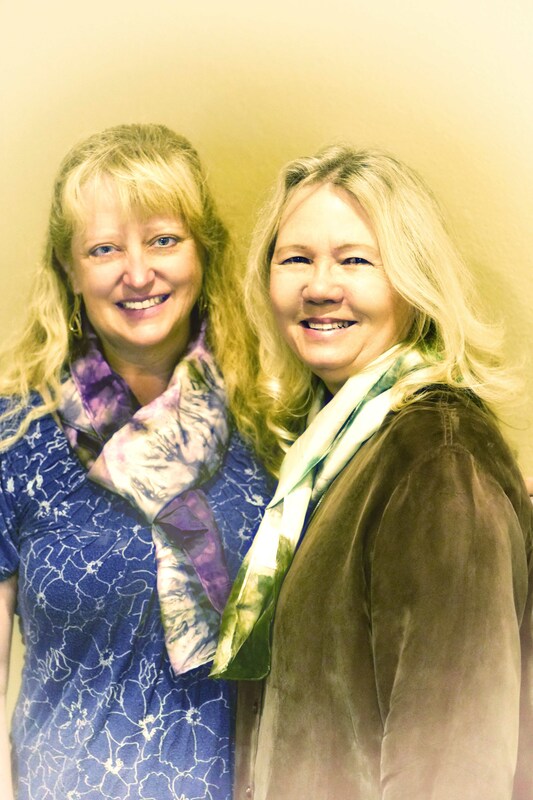 October’s Silk Scarf Ambush Models…Teri Lou Dantzler and Lynette Sheppard! 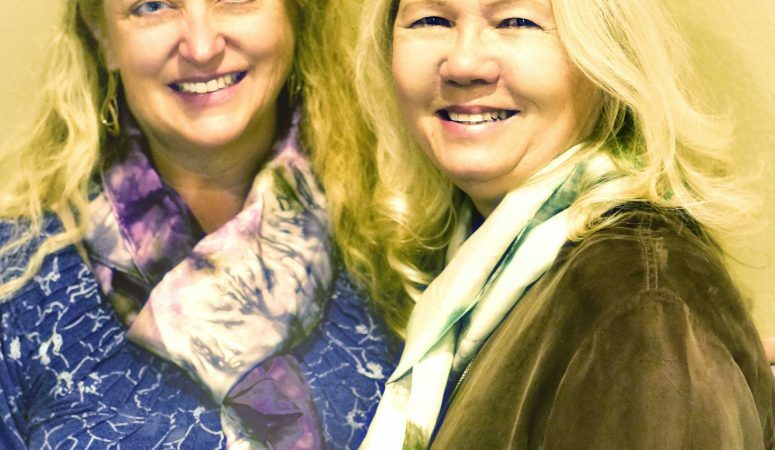 I am super-duper, over-the-top, pleased to introduce Teri Lou and Lynette, my October silk scarf ambush models. Â Both women are internationally known for their photography, and I was lucky enough to attend an iPhone photography workshop Â hosted by them this past weekend. Â When it comes to living vibrant lives, they are beyond inspirational. Â Let me share a little about each of them, and then I encourage you to check out their websites and work. “I am passionate about adventure, photography and living a happy fulfilling life. I share my passions with people through presenting ‘Curiosity Overrules Fear’, creating online iPhone Photography courses, leading Palouse Photography Tours and teaching iPhone Creative Adventure’ workshops throughout the US and Canada. I have travelled the world exclusively taking photos with just my iPhone because it is an amazing camera, darkroom and social communication device that fits in my pocket – and oh it makes phone calls too!. And she does. Oh, she does! Stay tuned for new adventures coming soon. See what I mean? Â Teri Lou and Lynette are rock’n life. Â They are also kind, funny, generous, and my October Silk Scarf Ambush models. 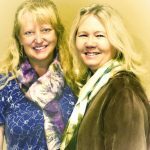 Â Thank you, Teri Lou and Lynette for an excellent workshop experience. Â I’m bursting with creative juices all because of you! Hey GF, Just happened upon this article. Thanks so much for being part of our workshop and now part of my life. Your artistic abilities are growing by leaps and bounds. I can’t wait to see where your journey takes you! It was such a pleasure learning from you and Lynette. When I see your work I get all twitchy and want to do more and better. Thank you for being an inspiration, and for being my ambush model. Hugs!